My First Pho | Flickr - Photo Sharing! My first Pho at Pho Bang, Chinatown, NYC. Wow, I love this stuff anytime! now this stuff is good! You know I don't see many pho restaurants in japan for some reason? We have them everywhere in Seattle it is just like Starbucks in many cases you will see pho restaurants and starbucks next to each other! 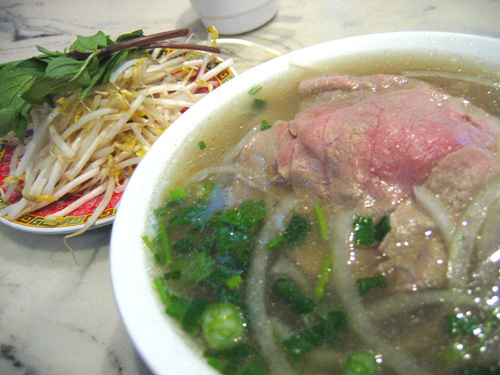 pho is vietnamese =) ramen is japanese... hoped you liked your meal.